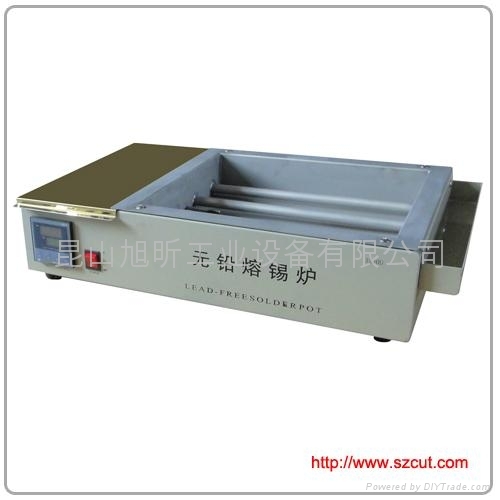 1.Adopt the titanium material lead-free solder bath and other heavy duty compents offer greater durability. 3.The quantity if tin is little, power consumption with small, energy saving, warming faster, with long life. 5.Get across SGS testing,lead-free and environment friendly. apply to the transformer, coil pin tin plating, PCB welding process especially suitable for electronic transformer, electronic line on the production line.